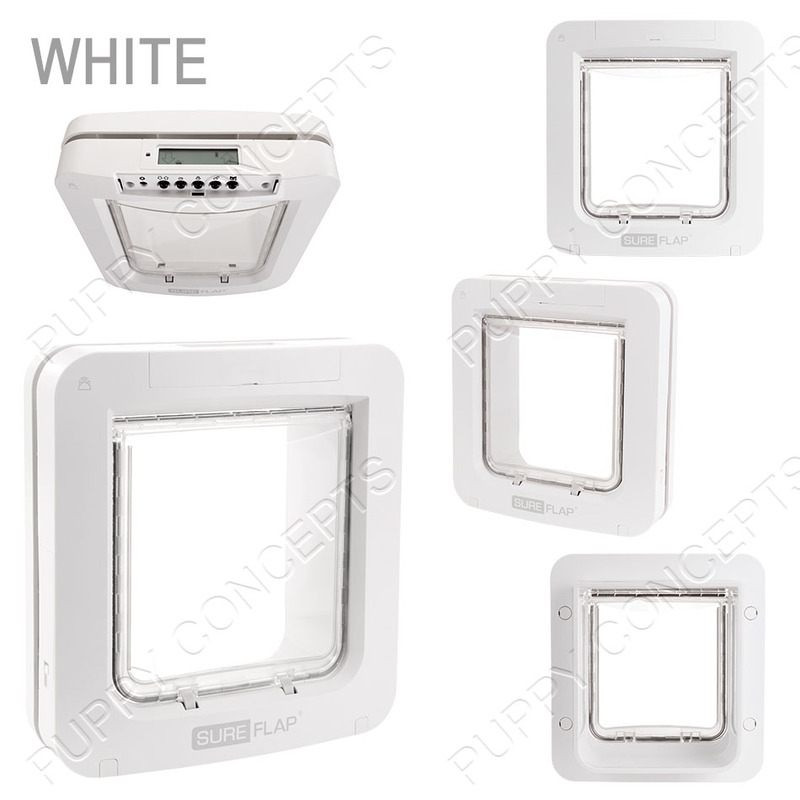 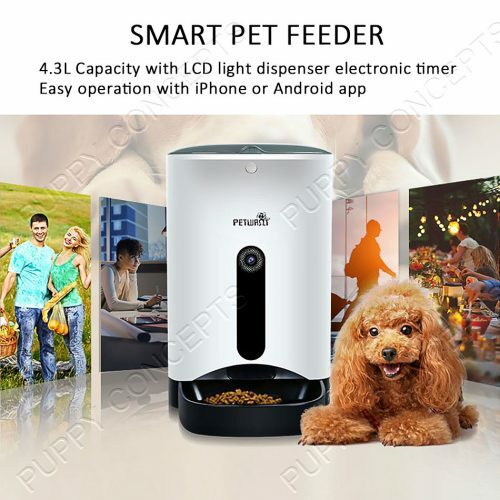 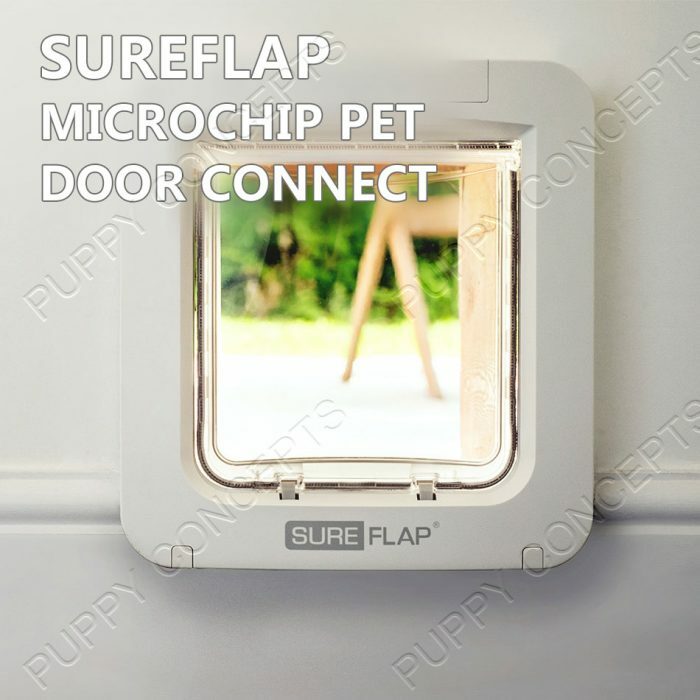 SureFlap Microchip Pet Door Connect is a smarter access point to your home for pets. 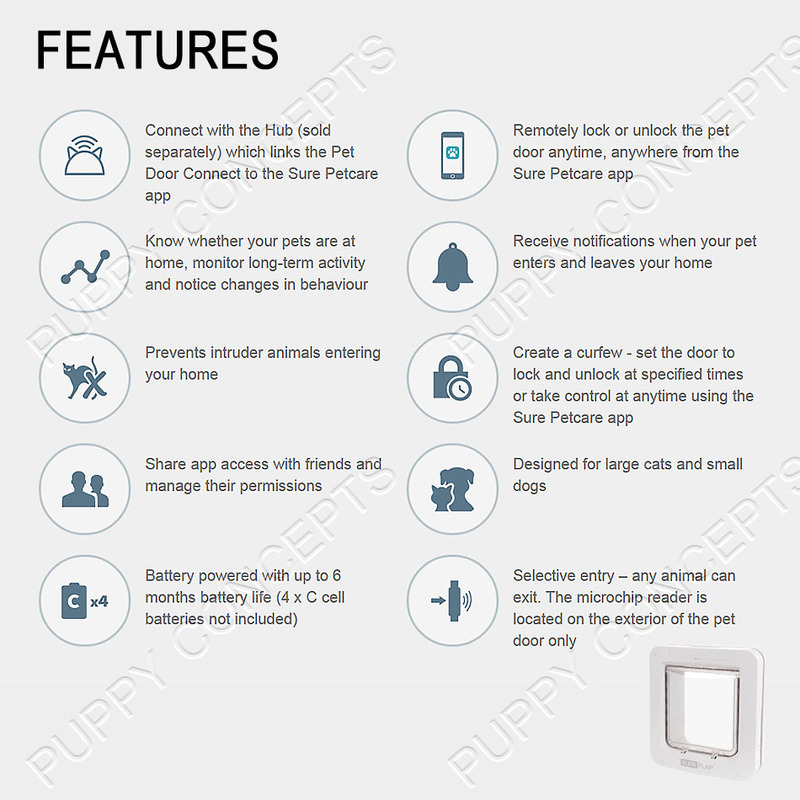 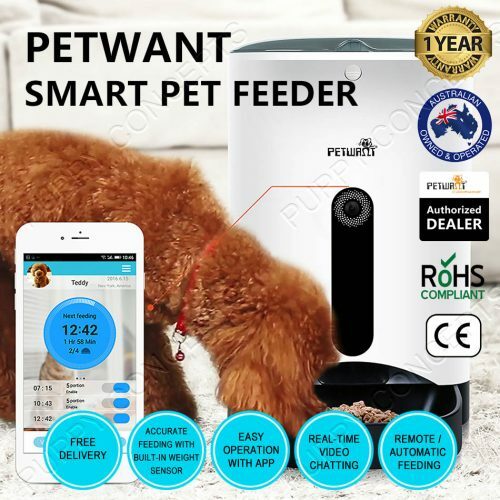 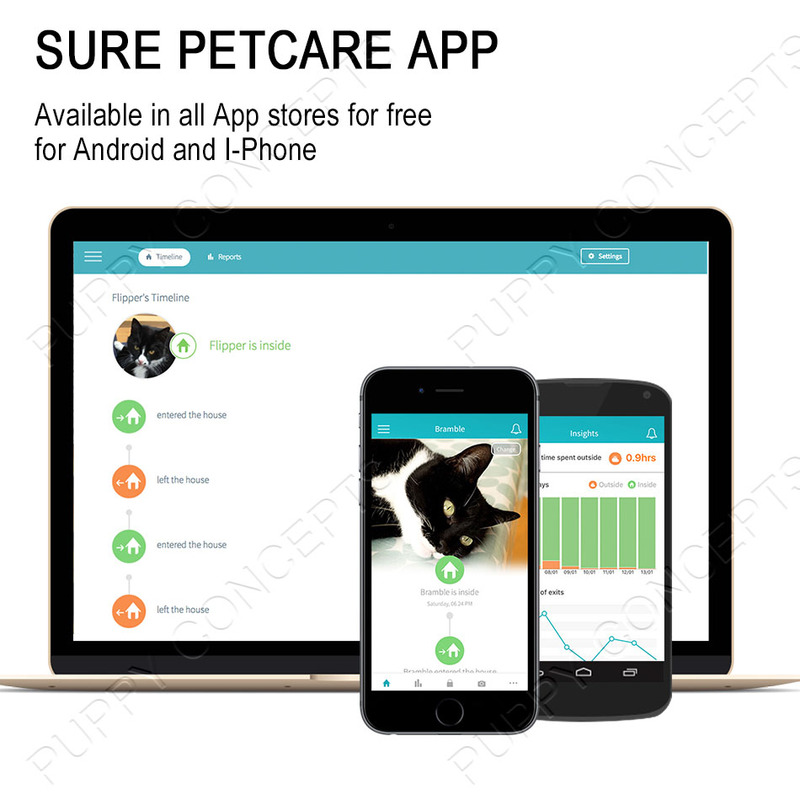 By connecting with the Hub which links the Pet Door Connect to the Sure Petcare app, you can remotely lock or unlock the pet door anytime anywhere! 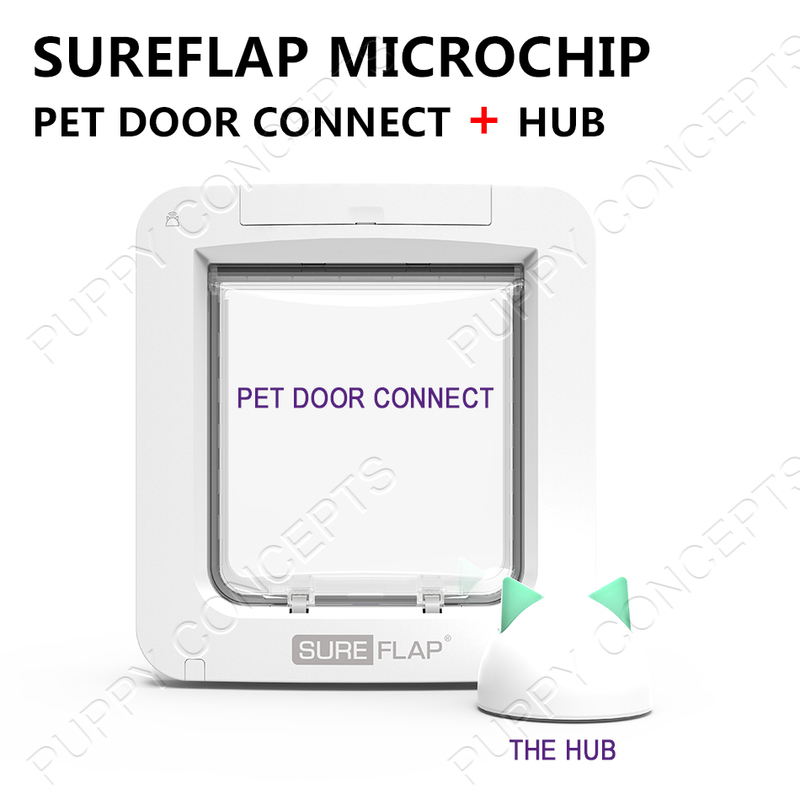 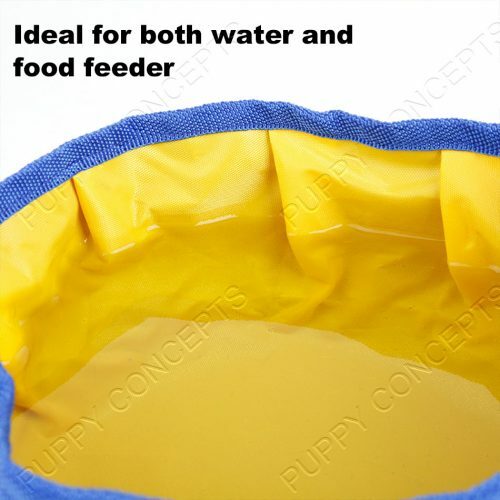 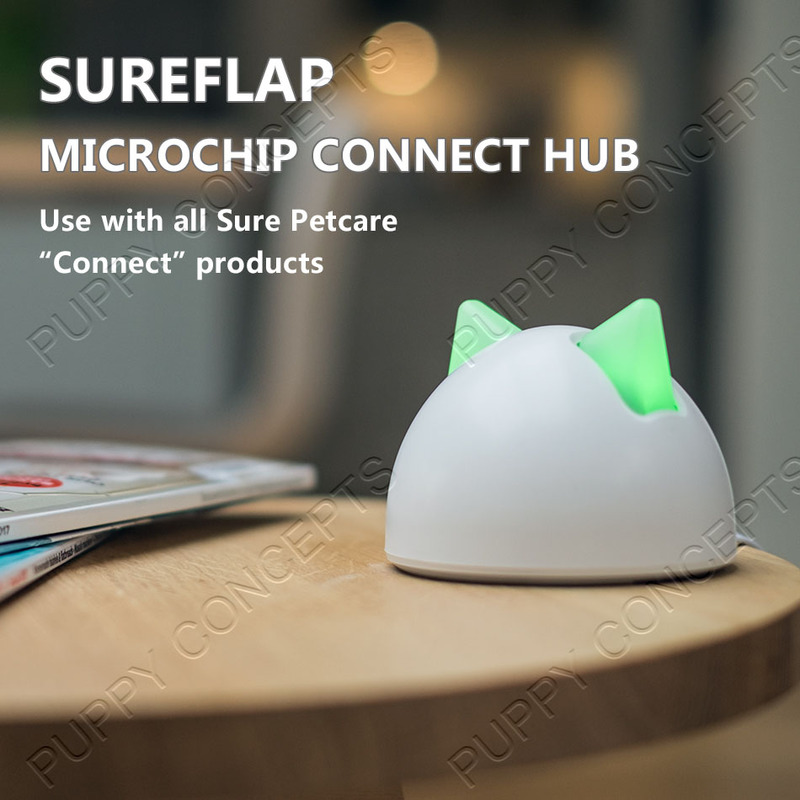 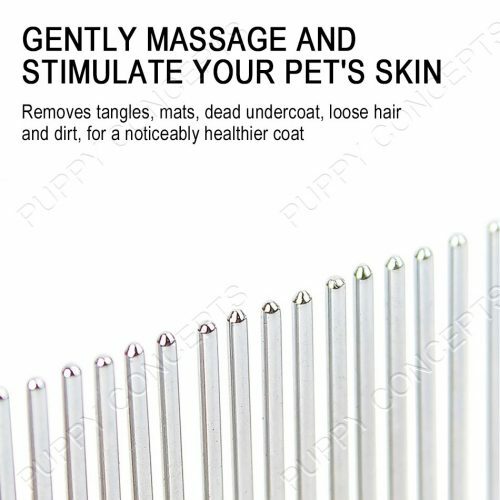 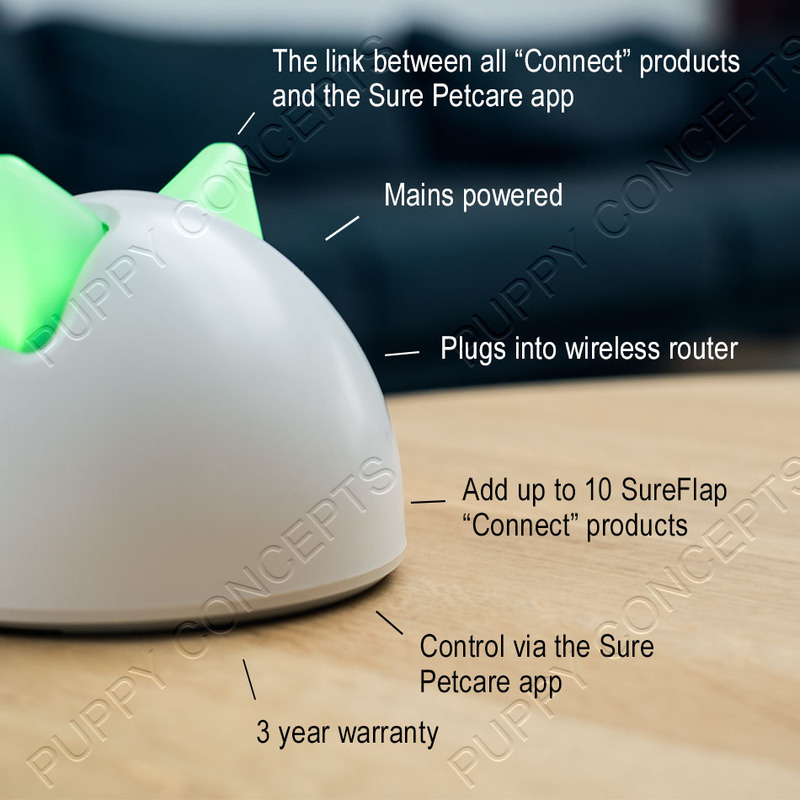 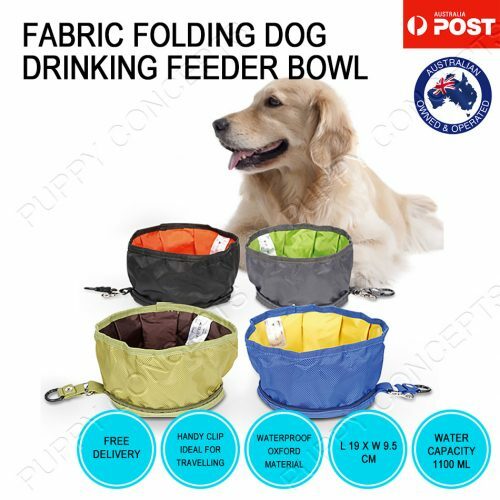 The SureFlap Microchip Connect Hub is designed to be used with all Sure Petcare “Connect” products. SureFlap Microchip Pet Door Connect works with all common microchips. 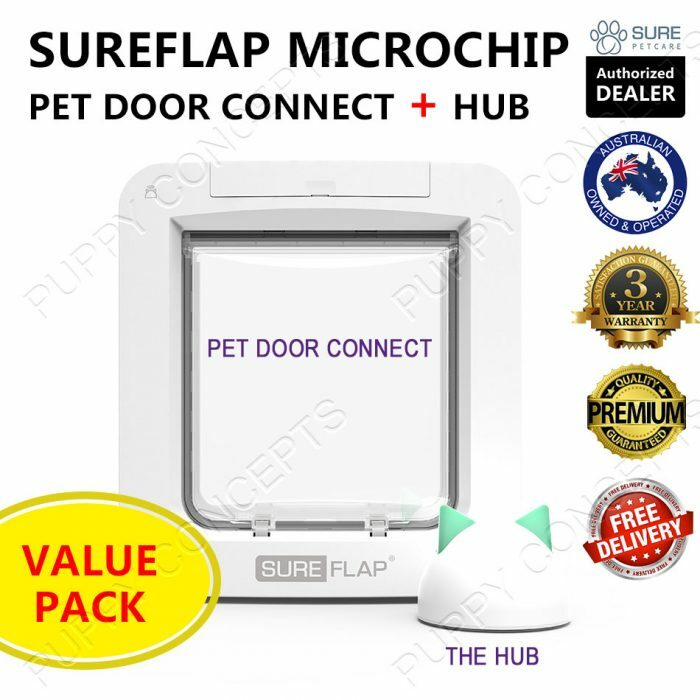 For peace of mind, check yours is compatible on SUREFLAP’s official website. 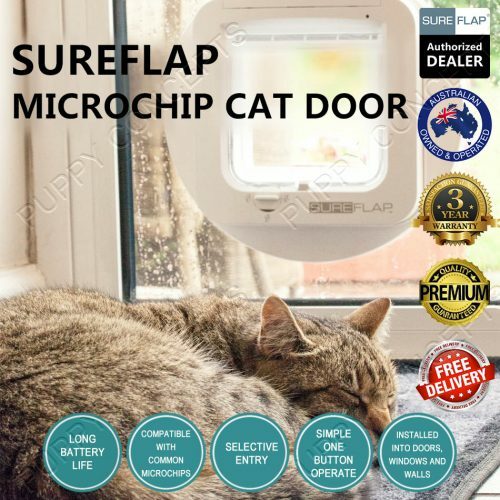 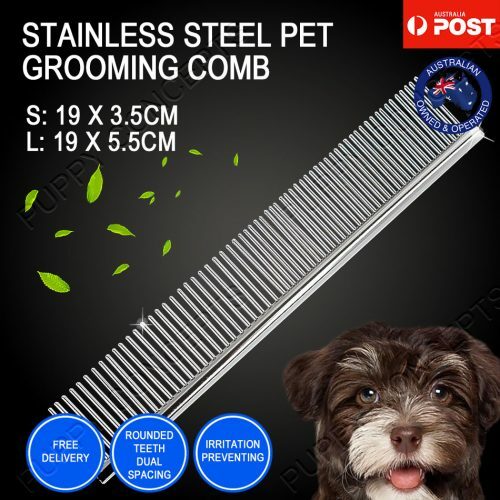 Don’t worry, you can still use SureFlap Microchip Pet Door Connect. 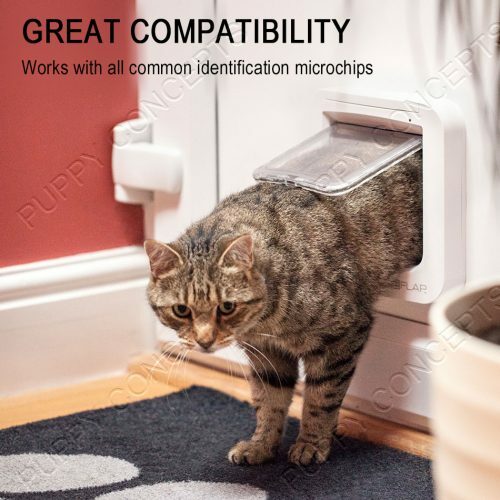 We have lightweight RFID collar tags available in packs of two, which work in the same way as a microchip.